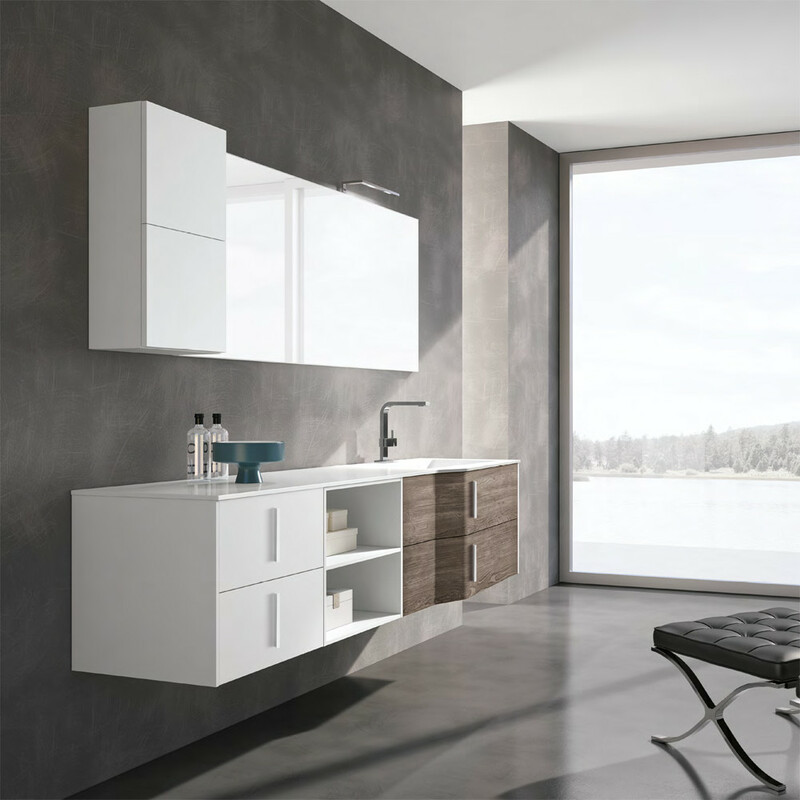 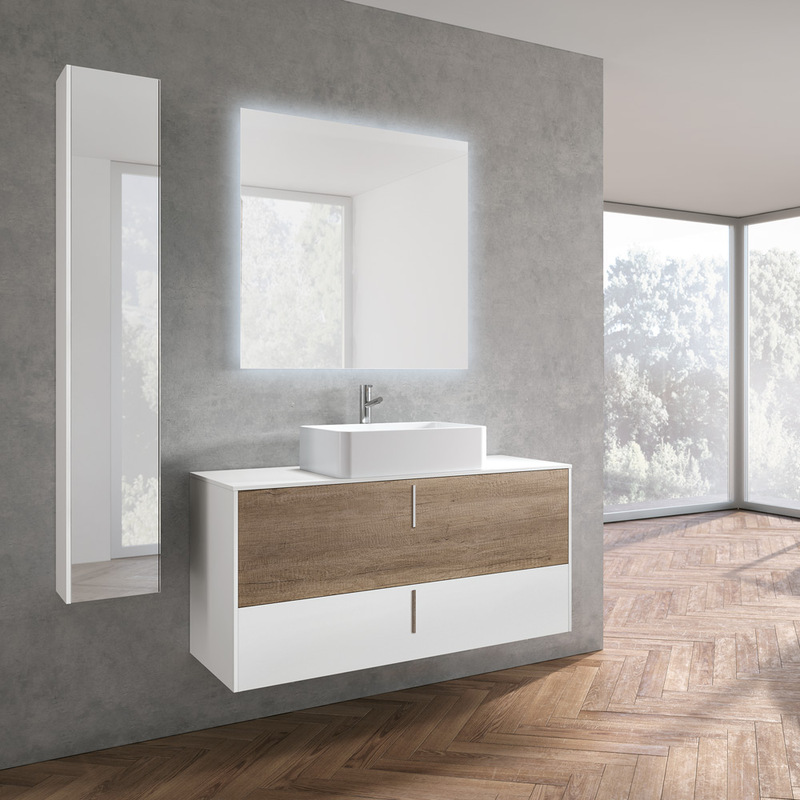 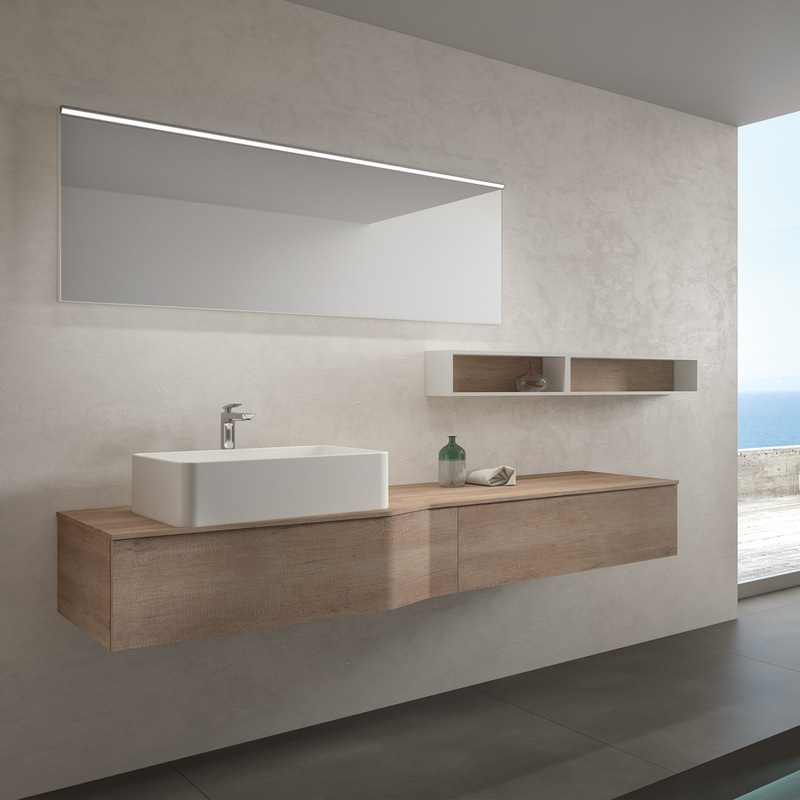 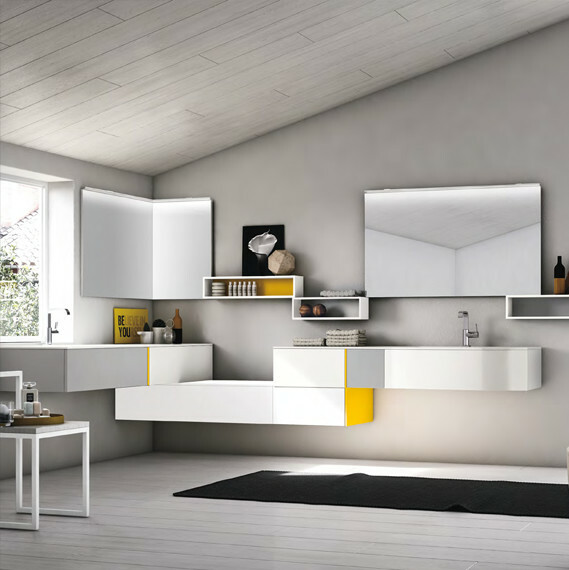 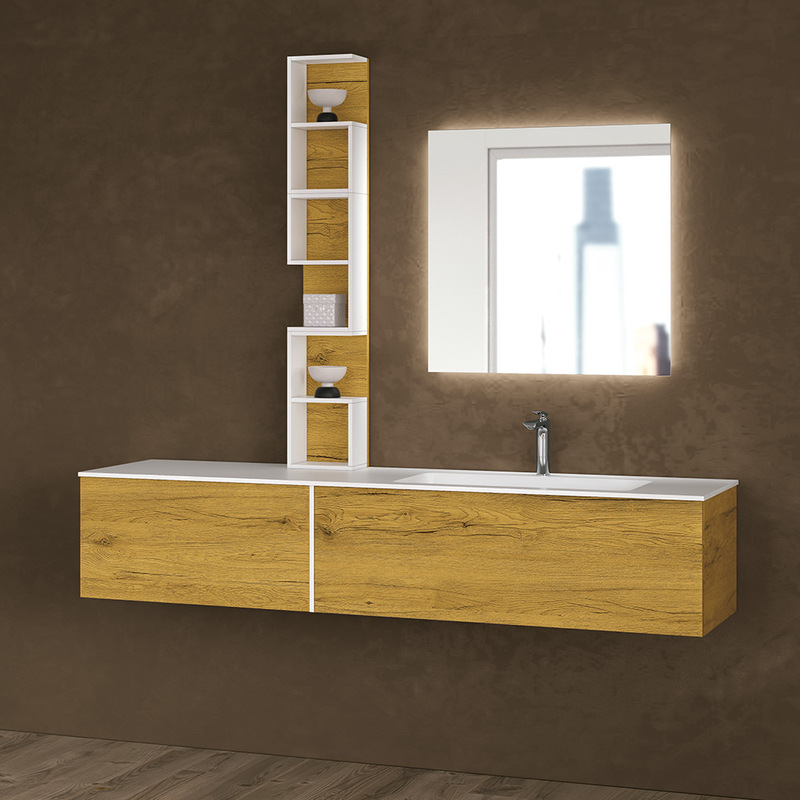 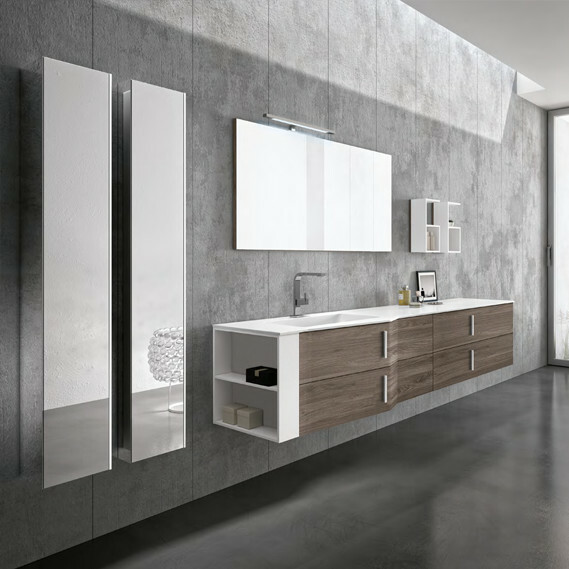 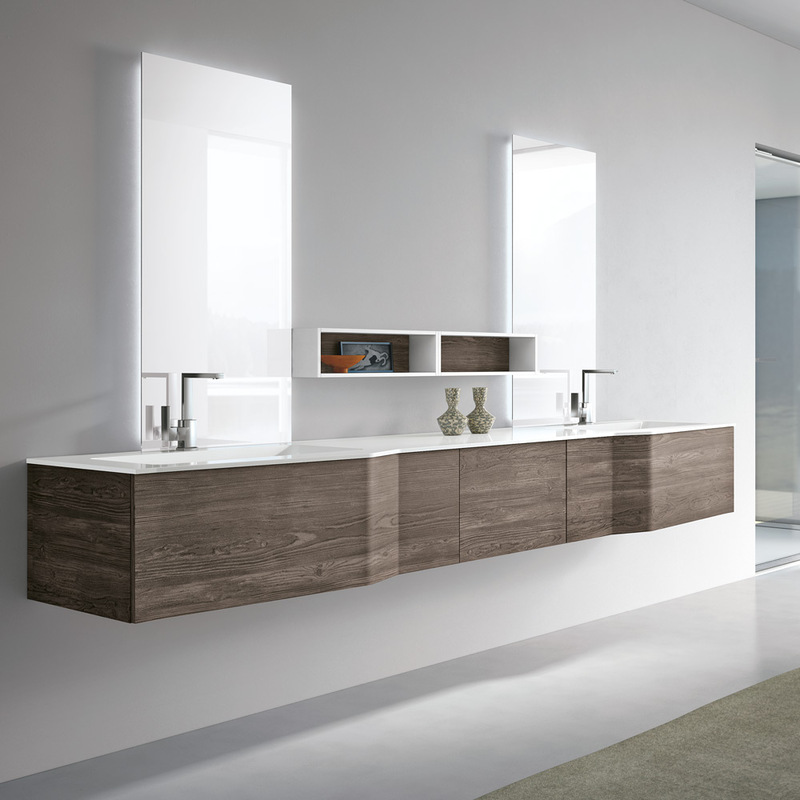 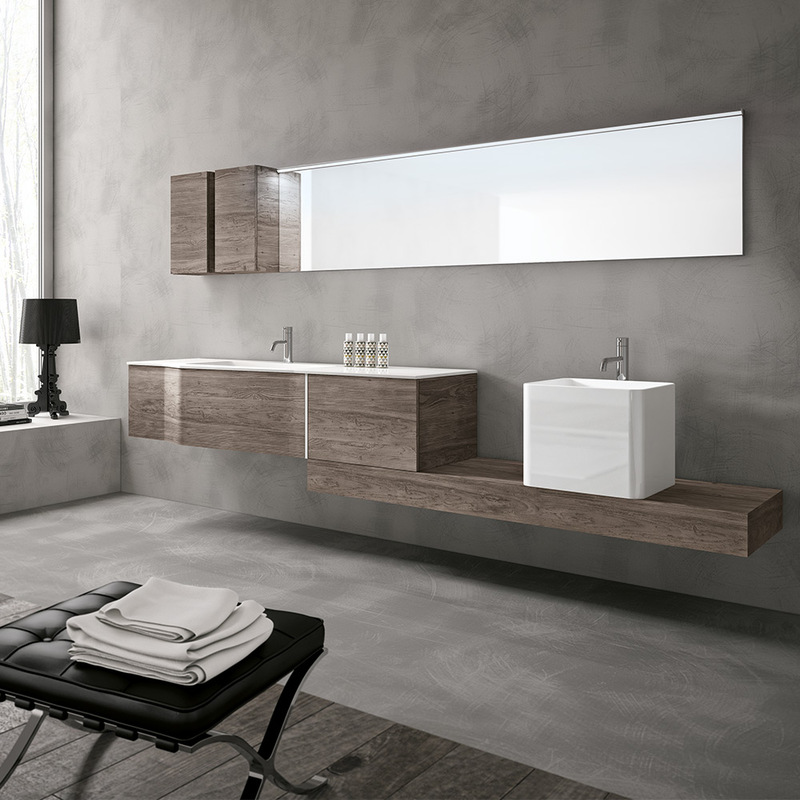 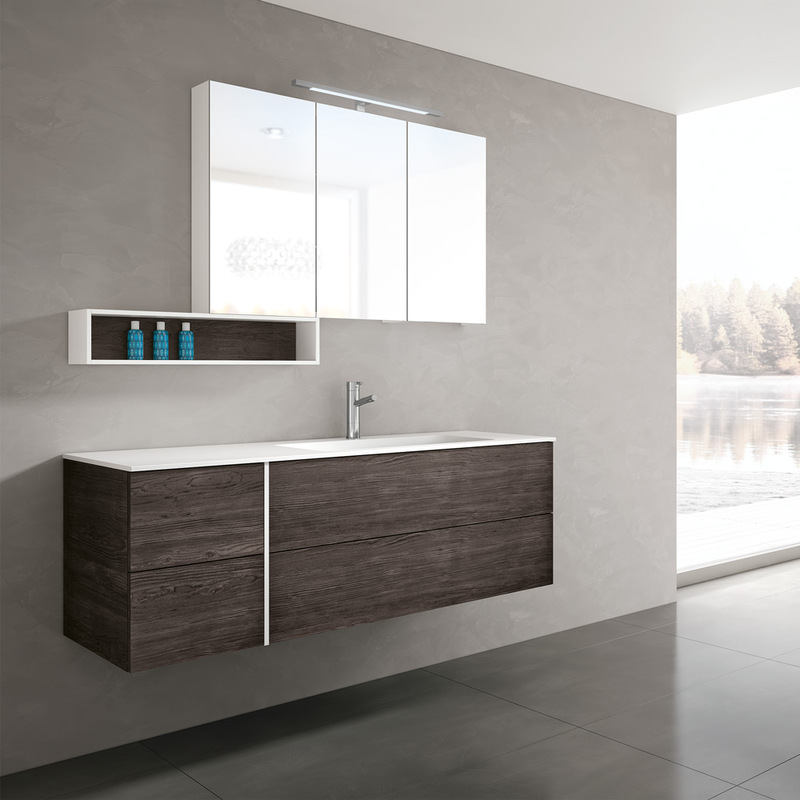 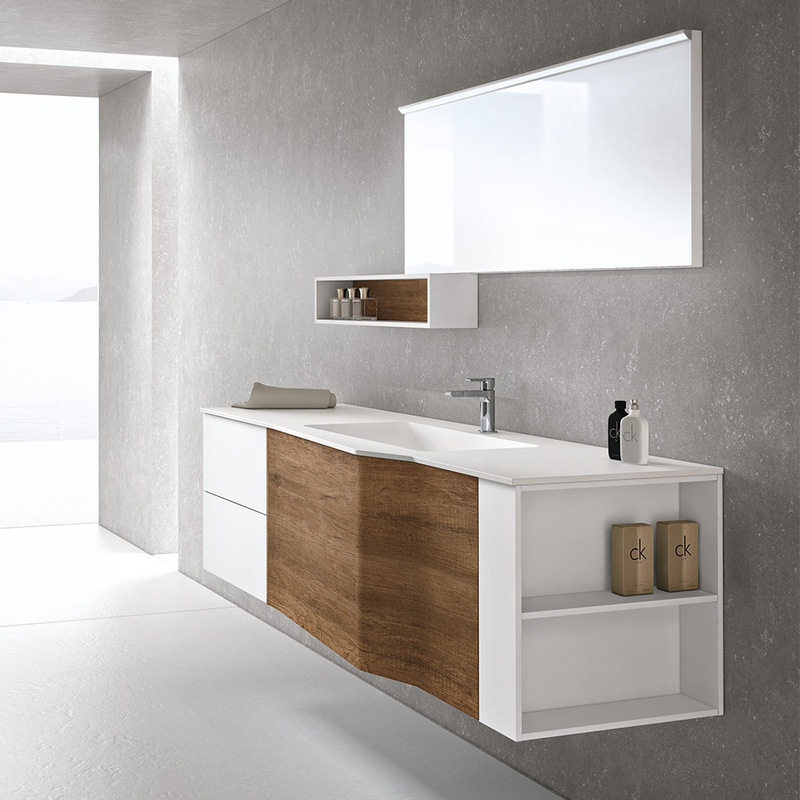 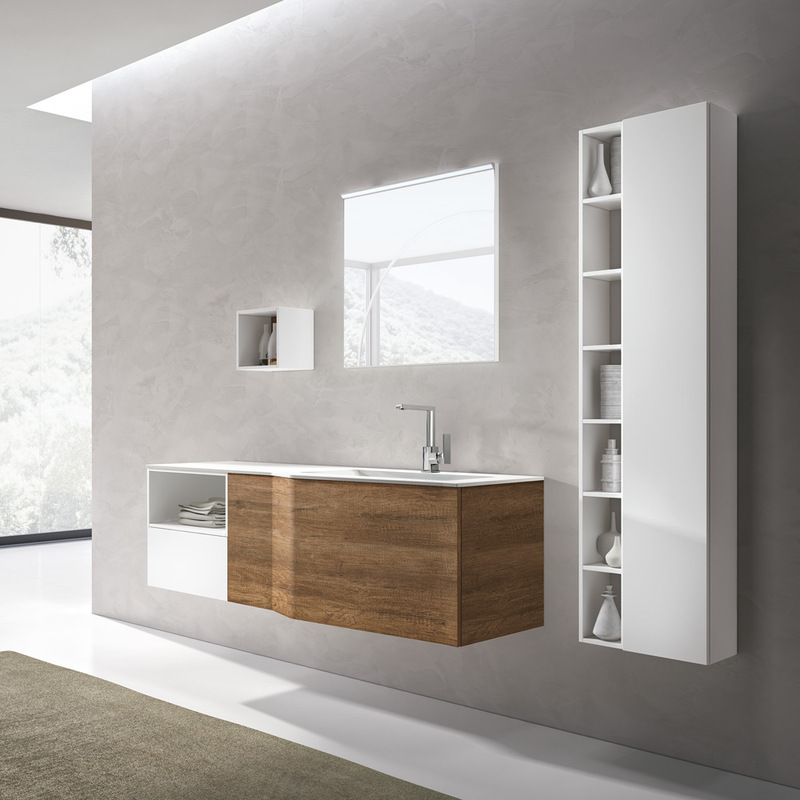 60 years of experience reflect in the solutions for your bathroom, which simplify everyday use according to the available space and your lifestyle. 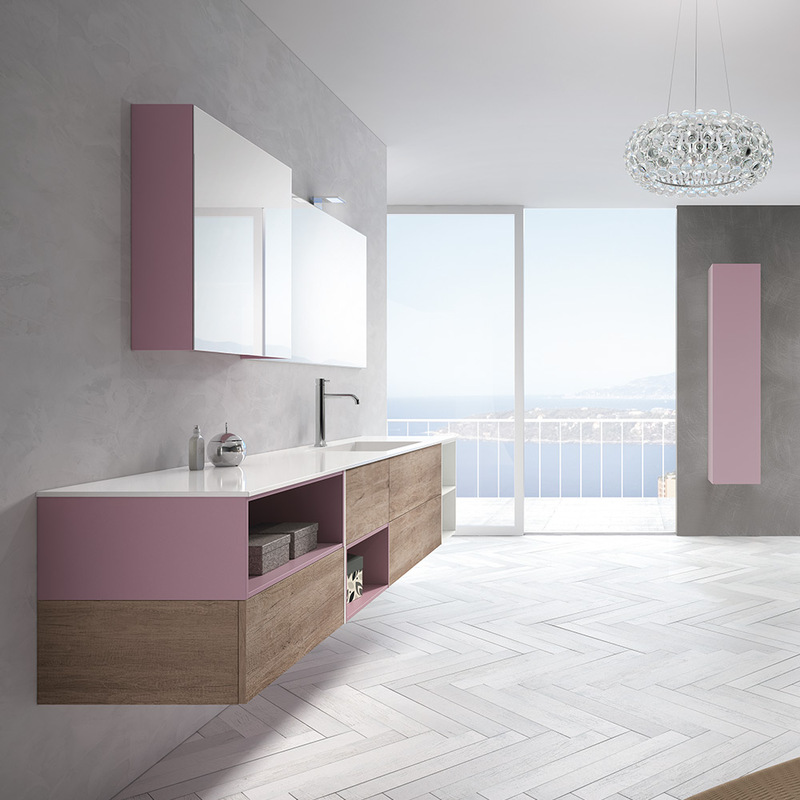 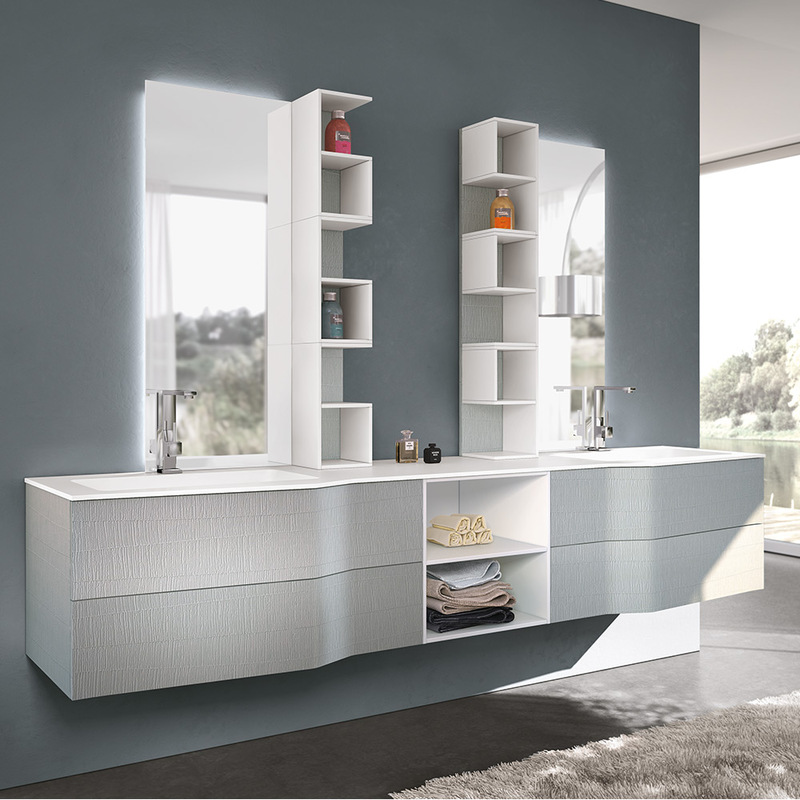 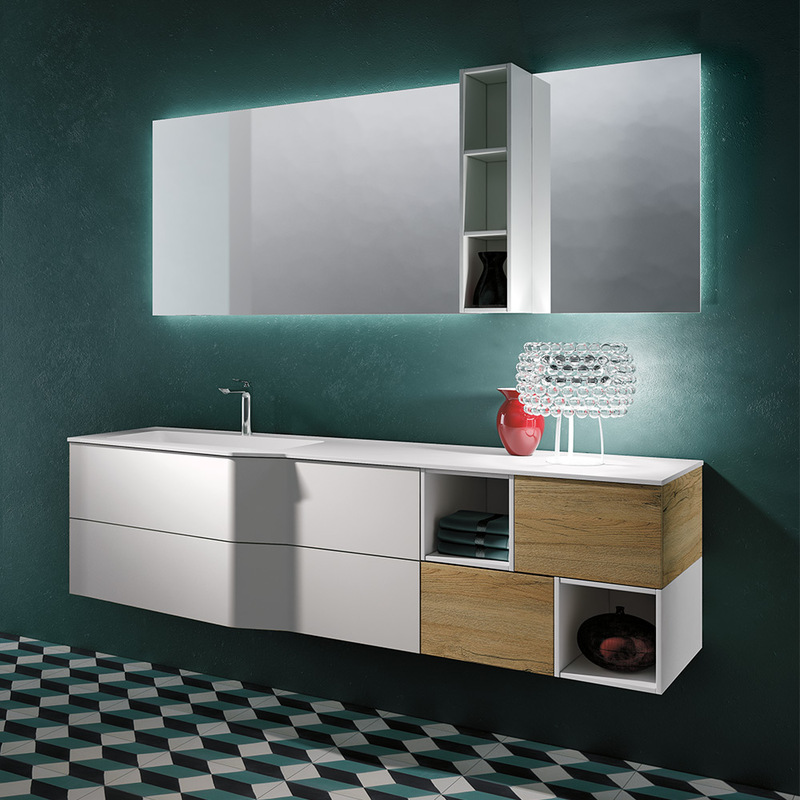 Modern shapes and volumes, a vast array of finishes and colours and all the safety of Italian raw materials. 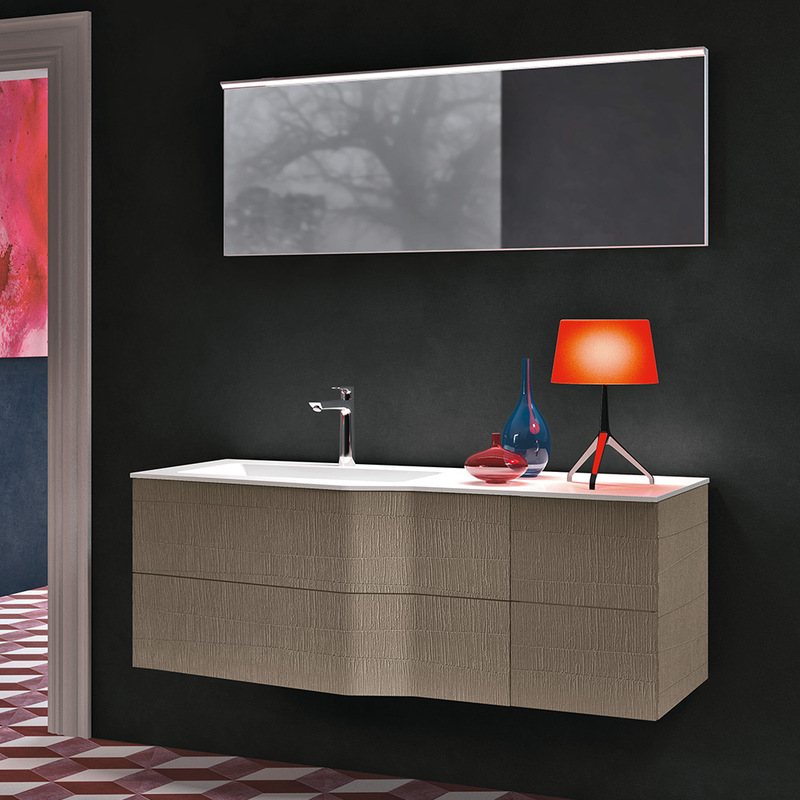 STR8 = S sinuous - T track - R regular. 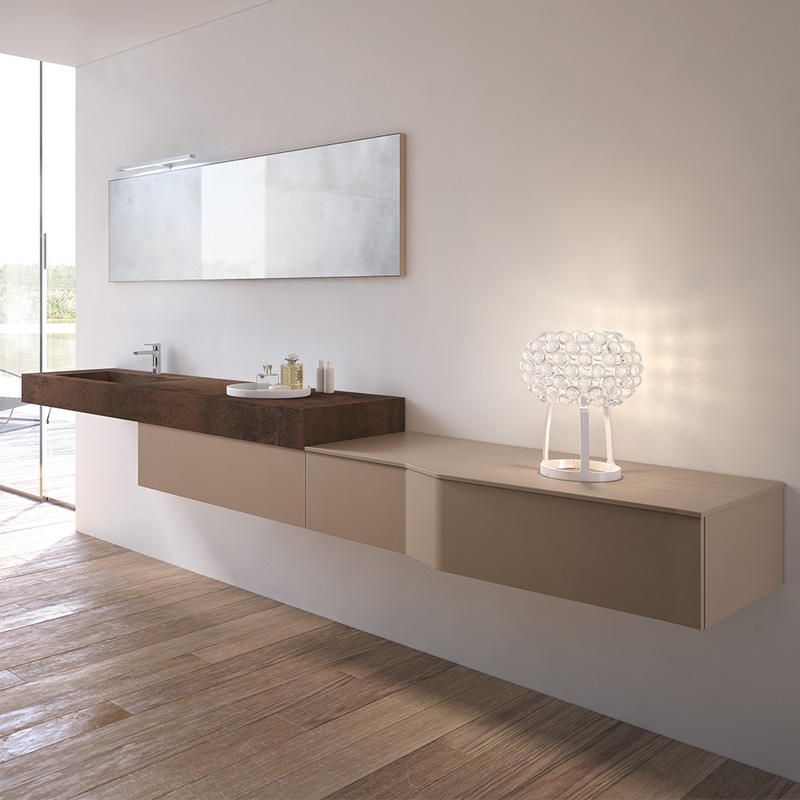 A console washbasin that stands out for its thickness and its Corten material finish. 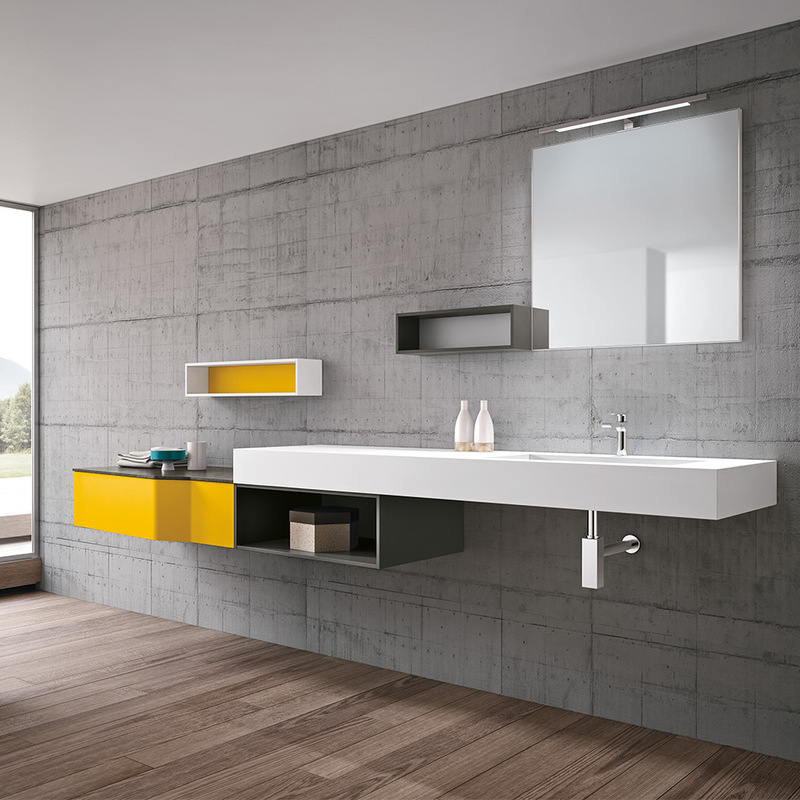 A vertical progression and a horizontal development. 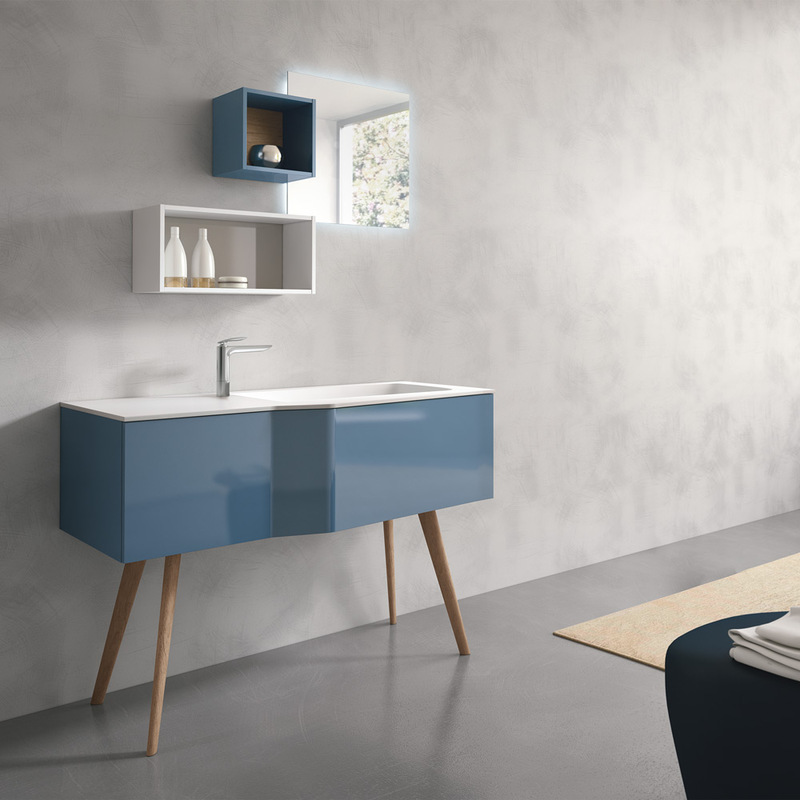 Traditional-style, available in wood version paired with matte and glossy lacquers. 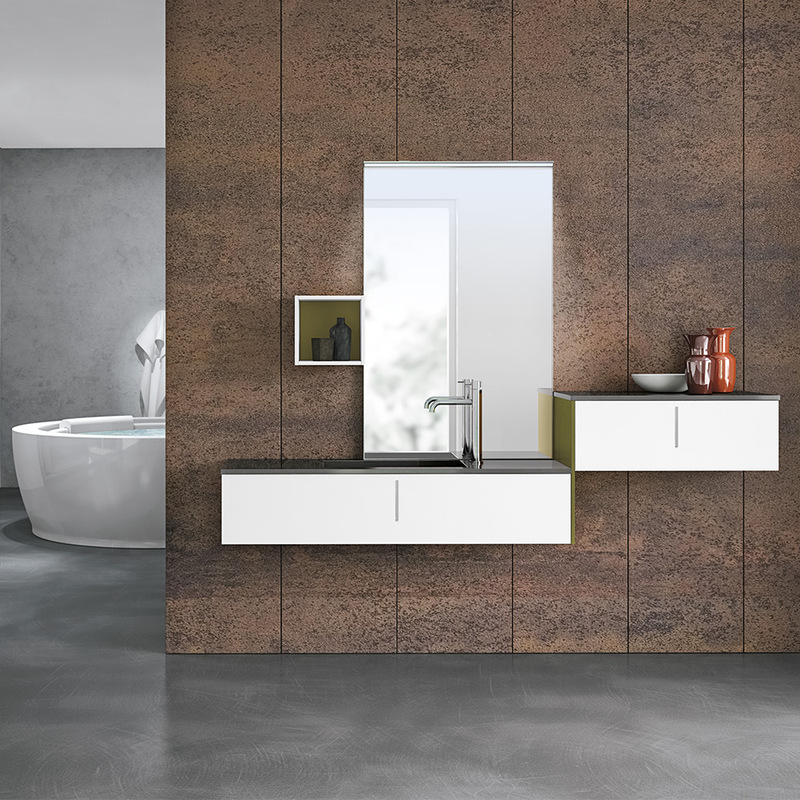 Its ash legs give elegance to the composition, providing a useful support in different situations. 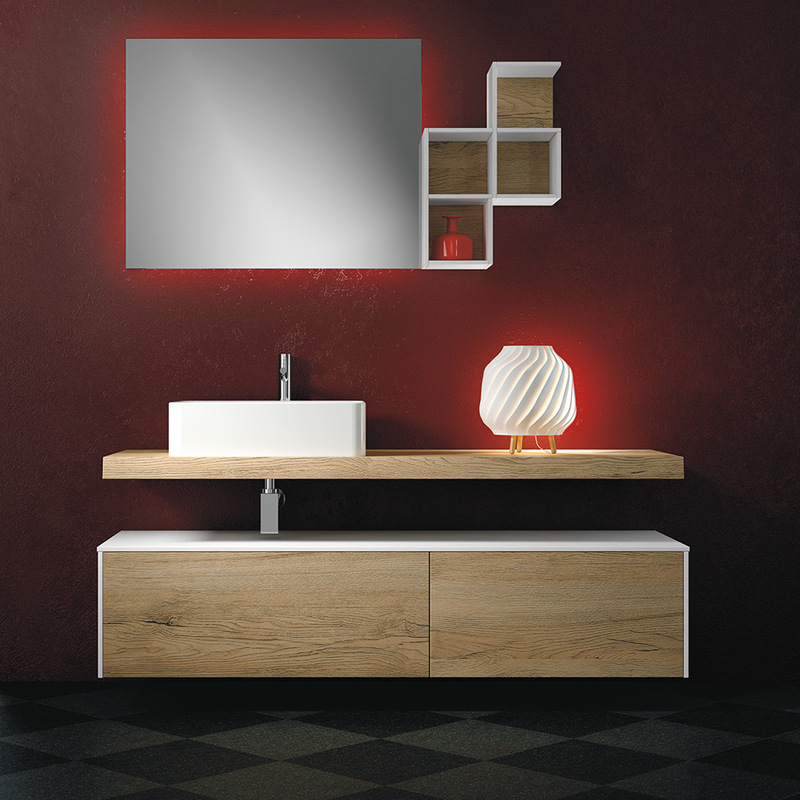 Tecnotek wall cabinet with wood or lacquered back give a containing object for everyday items. 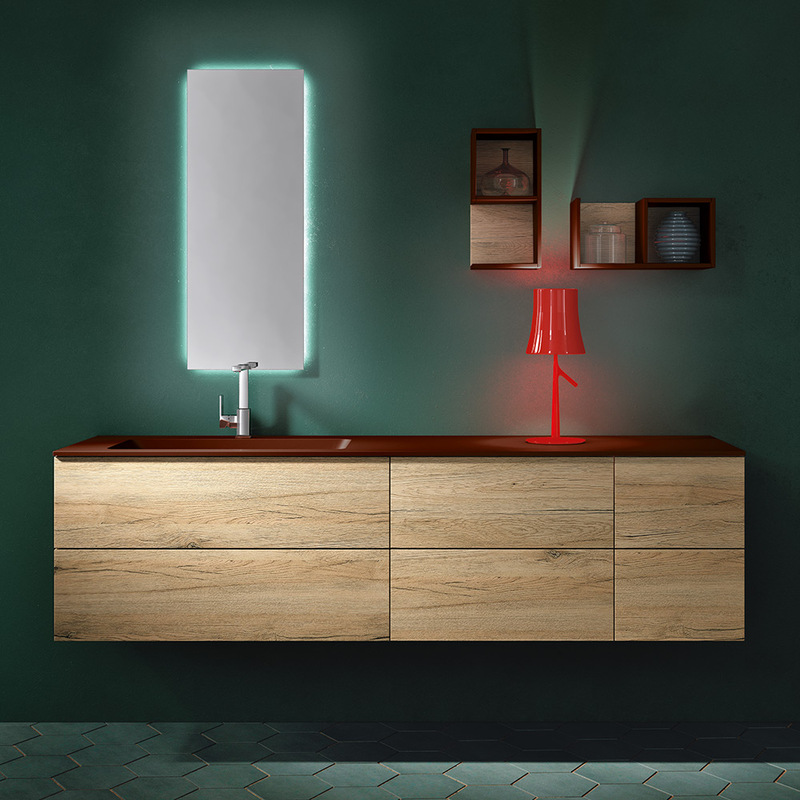 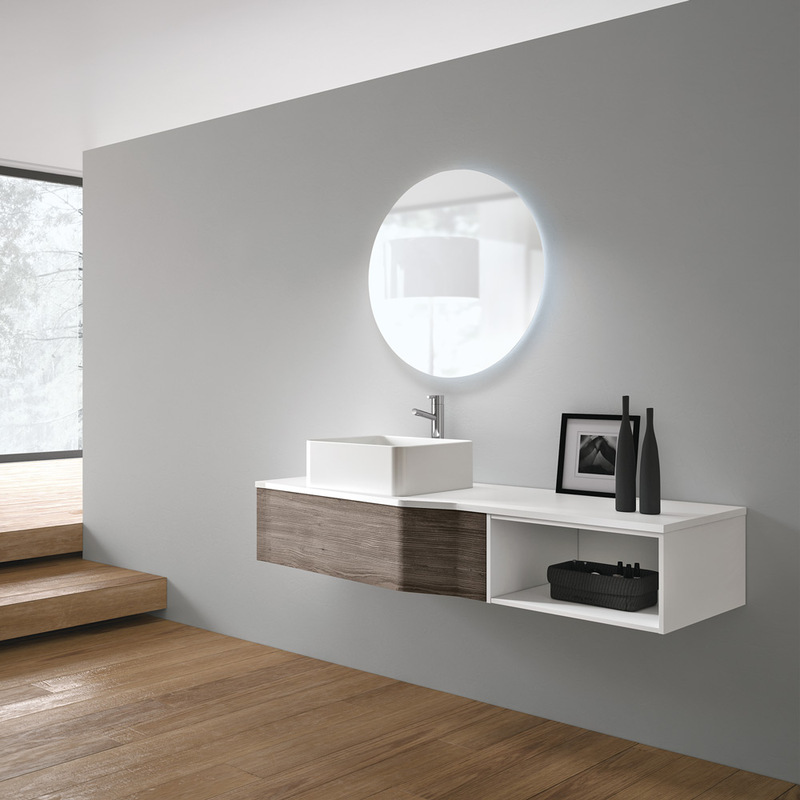 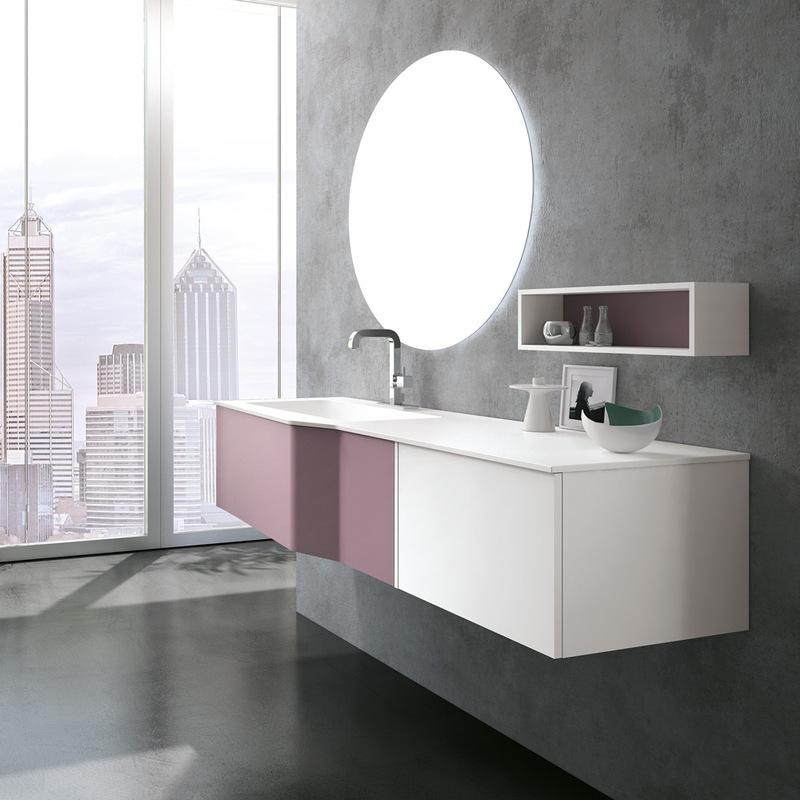 A soft washbasin within rigidity. 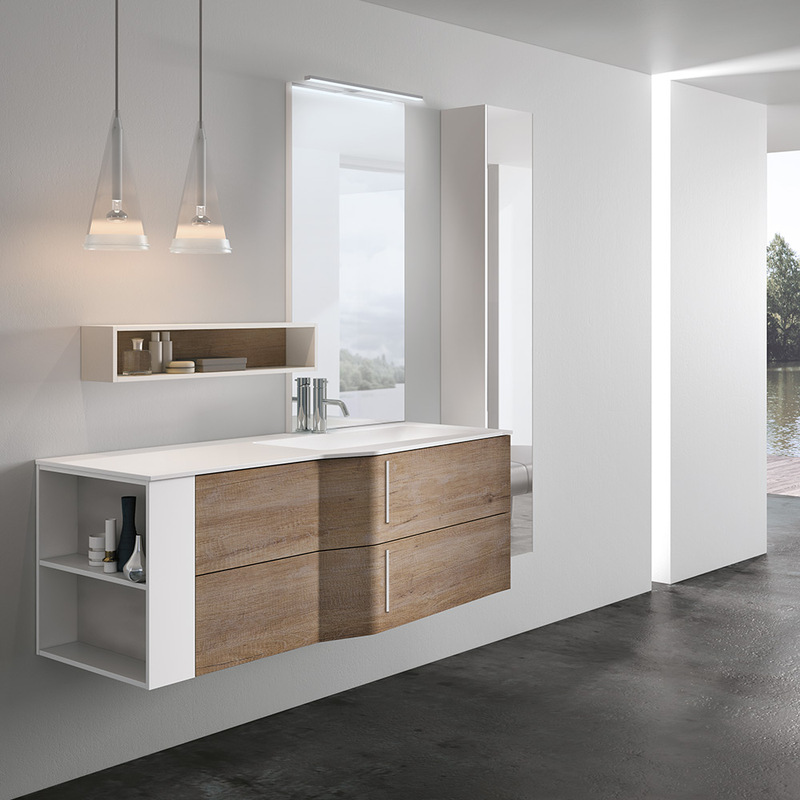 The Push&Pull opening removes any marks from the front. 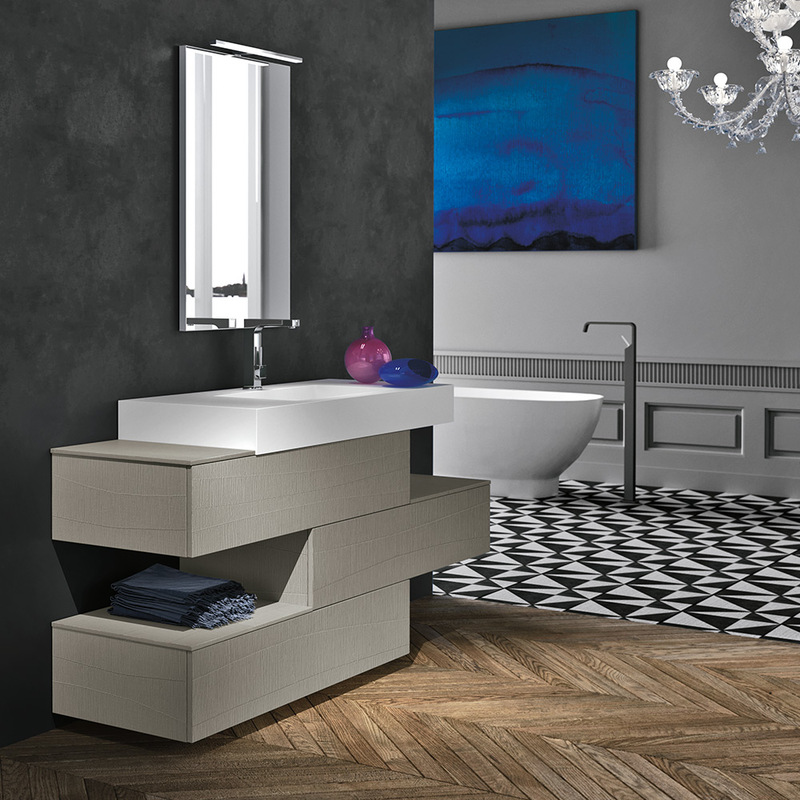 This sinuous movement is smooth as it is a track made with segments joined with corner rounding. 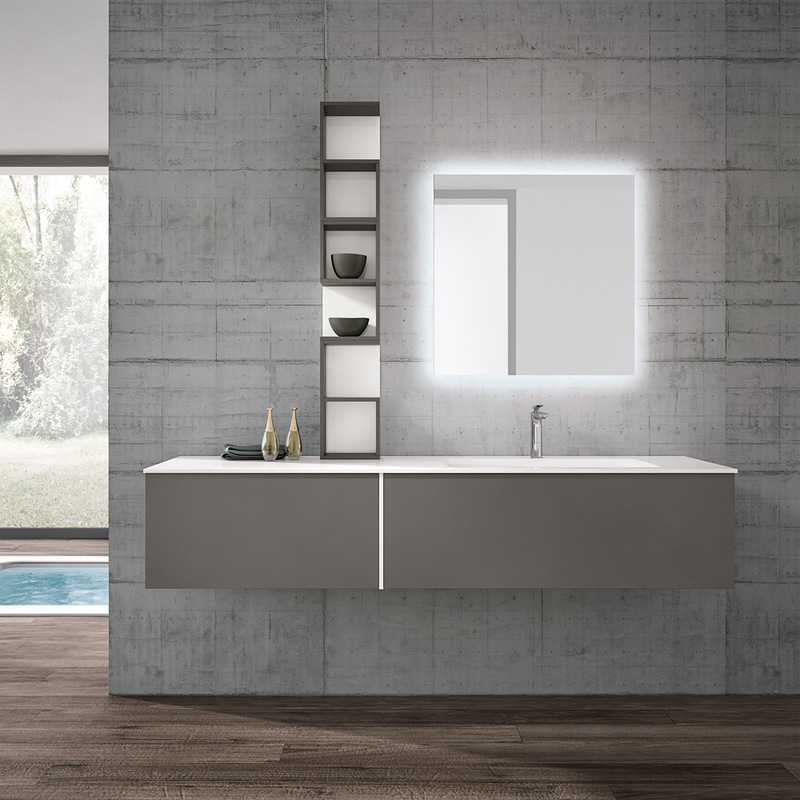 A structure with staggered lines, defined by the infill sides. 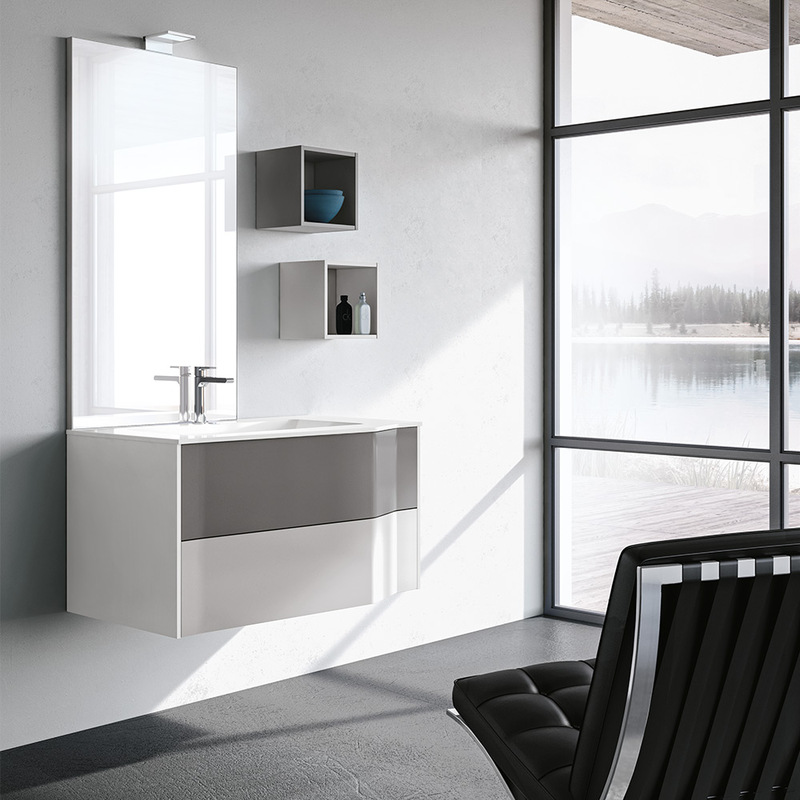 Clean and essential lines coming from a functional design with Nordic inspiration. 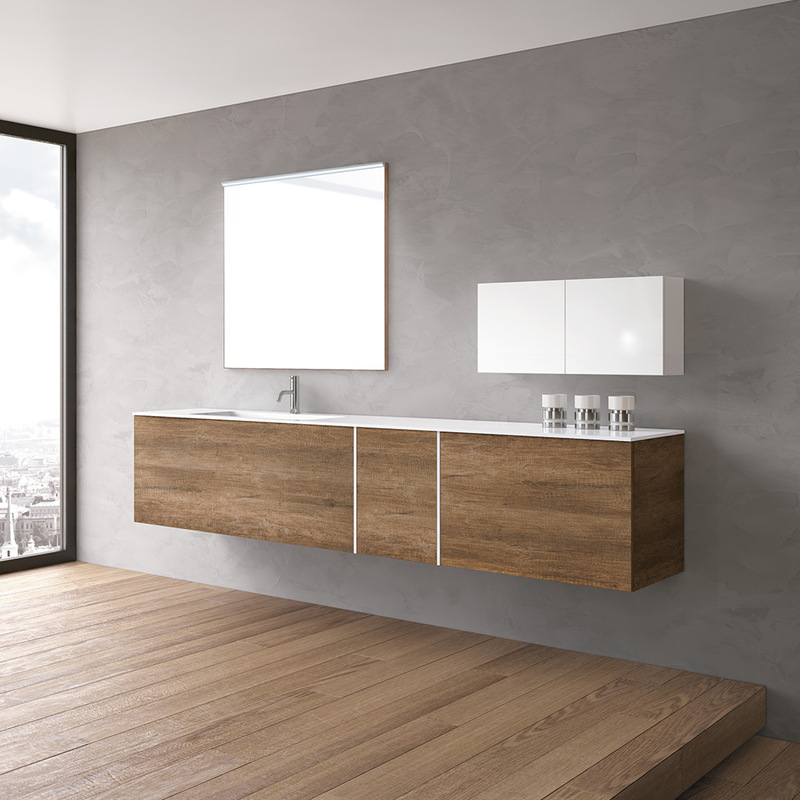 Treated oak countertop with irregular edge 6 cm thick. 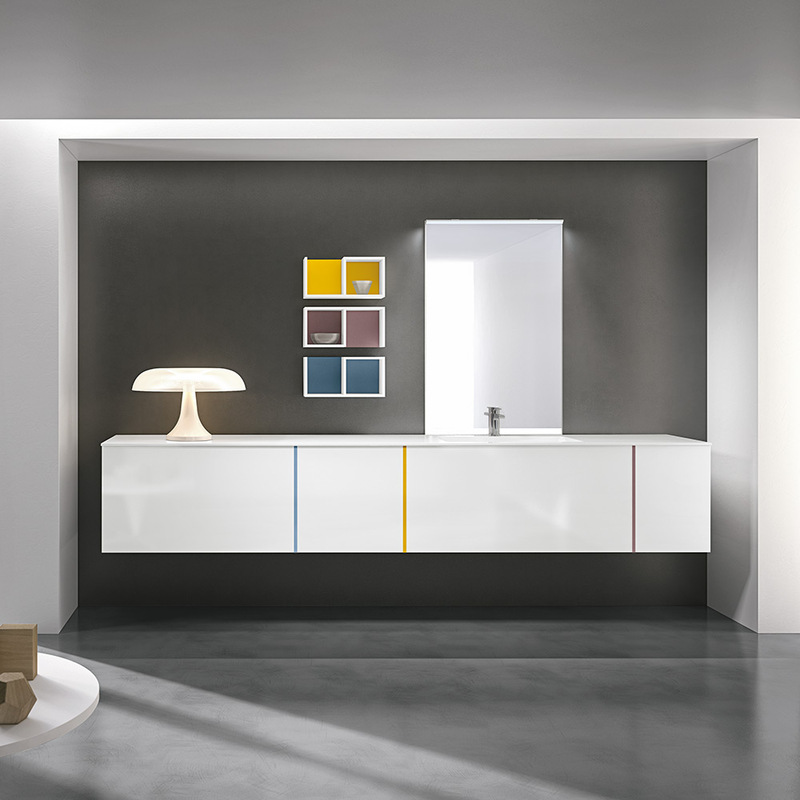 STR8 is also a product of aesthetic image with which it is possible to define complex compositions.